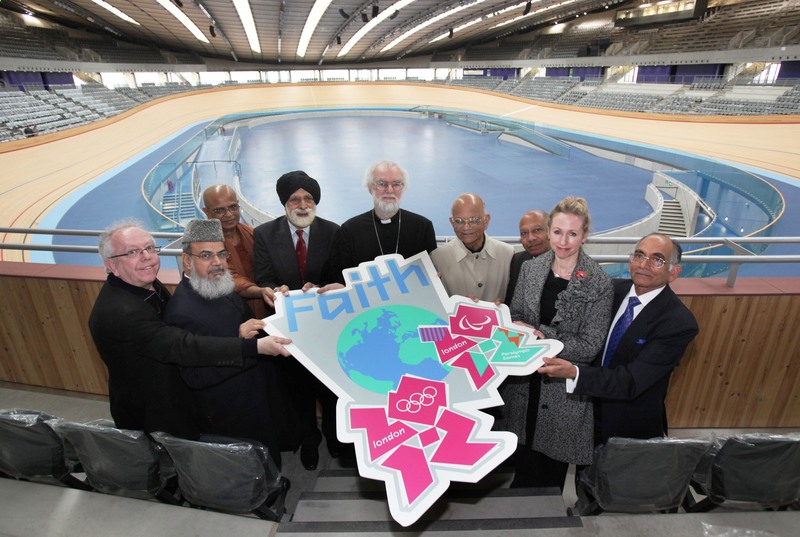 There are interviews about the Games (and the chaplaincy service) with the Archbishop of Canterbury, Lord Indarjit Singh and Maulana Shahid Raza (Chairman of the Mosques and Imams Advisory Board). Plus – the Local Leaders initiative was launched on Monday. This could be just the thing to support our local activities, including those connected with the Olympic Truce. The summer of 2012 will be extraordinary. Across the whole of the UK, millions of people will be part of the celebrations. And at the heart of every celebration will be the person who makes it happen. If that’s you, we want you to sign up and become a London 2012 Local Leader. Being a Local Leader is pretty simple: you just need to have an idea of how you want to celebrate the Games and then get organising. Find out more and register for Local Leader emails here and find more ideas here. We will include a 2012 item on our agenda next week. This entry was posted in London, London 2012, Olympic Truce and tagged Faith pin badge by Catriona Robertson. Bookmark the permalink.